Before founding One Investment Group, Frank served in various roles at Allco Finance Group, including Head of Business Transition and Operations, Managing Director of the Hong Kong Office, fund manager of two funds, Director of the corporate finance team and General Counsel. 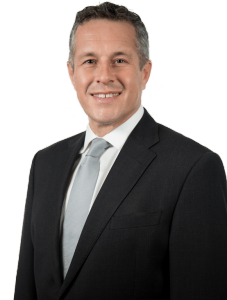 Prior to this corporate experience, Frank was a practicing lawyer with more than 10 years’ experience working in major law firms in Australia and the United Kingdom, specialising in mergers and acquisitions, capital markets, funds management and corporate governance. Frank has been a non-executive director of several companies, including the manager of a Singapore listed property trust and an APRA regulated insurance company. Frank has a Masters in International Business Law from the University of Technology, Sydney and a Bachelor of Law (with Honours) from the University of Leicester.